Zimmer est venu chez Sodasound pour le mastering en stems de son titre "Sensify Me". Surfing on Saint-Germain-des-Prés? Hippy Existentialism? It seems Zimmer can do the tricks and make the Eiffel Tower face the Pacific Ocean. Raised between France and California, Zimmer combines the west coast carefree attitude with a twist of Parisian chic. 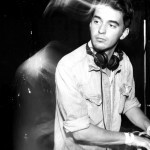 The young DJ and producer has been part of the New Disco European scene since his 2011 first release 'Cruisin' on Portuguese hot label DiscoTexas. 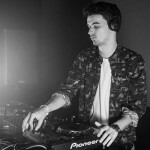 Call it 'feel good', 'horizontal disco', 'slow house' and you just named it: Zimmer's music combines Tropical elements, groovy basslines and catchy melodies to make the girls and boys dance until the sun rises. A king of the edits (Rod Stewart or Tina Turner) and remixes (Moon Boots, Jupiter, Black Yaya, Kamp!, Pompeya), his work has been supported by Dimitri From Paris, Yuksek, RAC Miami Horror and more… and ten of thousands followers who never miss his latest monthly mixtape. His art of DJing might be the best way to experience the magic power of Zimmer: he moves the crowd on a journey and build it up like a Nouvelle Vague movie crafted in Hollywood. Zimmer is blockbuster DJ with a brain - and a soul.